Fall weather has finally hit us here along the Grand Strand and here at Crow Creek Golf Club are ready for it. Having survived Hurricane Florence and all of her fury by having to close the golf course for a few days and let the course dry out we are ready to get back to play. The superintendent and his crew have worked diligently and tirelessly to get the everything ready to welcome players back to the facility. The play has come back to Crow Creek immediately. Between the locals and the fact that we are in the middle of fall golf season, we had plenty of package play to fill up the tee sheet every day. Crow Creek has earned a reputation as a golf course that is always in good condition and very playable. That is a standard that helped with the transition from hurricane damage to playable conditions. “The hard work and preparation that our staff puts in day in and day out is what has us open and in the condition that we are in,” said PGA Head Professional, Jimmy Biggs. Now is a very good time to get out and play Crow Creek for those that have not been here in recently. The course is green. The fairways and rolling. The greens are amazing. And don’t forget golfers can take advantage of great deals in the always fully stocked golf shop as well as great food and drink in the newly remodeled bar and grill. 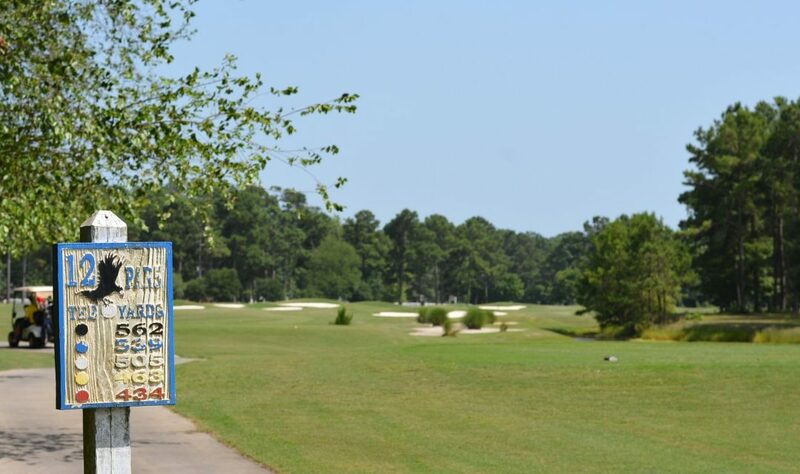 Click on the Tee Times tab at the top of the page to make a tee time today or call the golf shop at (910) 287-3081.